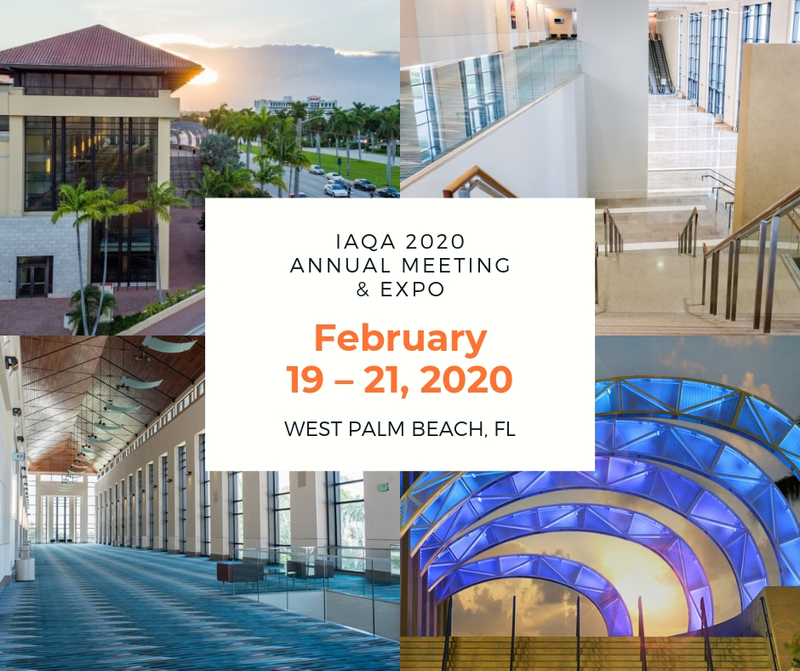 The Indoor Air Quality Association is excited to announce that it will hold its 2020 Annual Meeting in West Palm Beach, FL at the beautiful Palm Beach County Convention Center February 19-21, 2020. We invite all IAQA members and those in the indoor air quality industry to join us for 3 days of unmatched educational content, networking with exhibitors, and collaboration with peers. Further details regarding registration and housing, the program, continuing education credits (CECs), and more will be emailed closer to registration opening. In the meantime, save the date and make plans to join your colleagues in West Palm Beach, Florida in 2020!